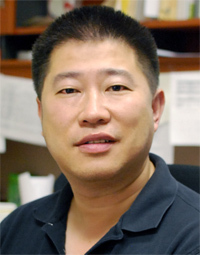 Alan Yu is the co-founder, CEO, and President of Lollicup USA, Inc. He has over 13 years of experience in the bubble tea, coffee & beverage, and paper & plastic food packaging industries. Shortly after graduating from University of California, Los Angeles (UCLA) with a Bachelor’s degree in Political Science, Yu opened a video rental store with long-time friend, Marvin Cheng. After bubble tea was introduced to the U.S. in the late 90s, Yu & Cheng saw the opportunity to open their own quick-service Asian restaurant specializing in bubble tea. In 2000, Lollicup USA, Inc. was found and Lollicup Coffee & Tea opened its first café in San Gabriel, CA. Within four years, over 60 retail stores were opened across six states. By 2001, the company began producing Tea Zone brand bubble tea & beverage products for quality-control to ensure consistency, taste, and quality. In 2004, the power duo saw another opportunity in the beverage & foodservice industry, and began manufacturing Karat brand paper & plastic disposable food packaging products. During expansion, Lollicup USA, Inc. also established strategic partnerships with Ghirardelli, Torani, DaVinci, Caffe D’Amore, Jet, Monin, Big Train, Cappuccine, MoCafe, and serve as a Master Distributor of these products nationwide. Serving over 30,000 customers, Lollicup USA, Inc’s clientele comprises of individual stores, food distributors, grocery stores, hotels, and QSR-chains, such as Golden Corral, The Coffee Bean & Tea Leaf, Jamba Juice, Wetzel’s Pretzels, Tutti Frutti, Island’s Burgers, and The Habit Burger Grill, to name a few. In 2013, Lollicup USA, Inc. was named on the prestigious entrepreneurial Inc. 5000 list of fastest-growing privately held companies in America.